Mahanagar Telephone Nigam Limited (MTNL) has launched a Mobile website builder service in partnership with Akmin Technologies, through which subscribers can create customized websites through their mobile phones or PCs. The service costs Rs 75 per month and MTNL subscribers can activate the service by sending an SMS with their mobile phones. The mobile website builder will provide advanced hosting, facilitates selling, addition of forms and advertisements and MTNL is focusing the service at small businesses. "This is a simple service that allows students, professionals and small offices, SME customers and government agencies to publish their mobile and PC websites to meet personal and business needs," said AK Bhargava, executive director- Wireless Services, MTNL according to CIOL. Prashanth, managing director, Akmin Technologies, said, "With an extensive suite of design templates and instruction prompts and no downloads and plug-ins, it allows even a novice to create a website." 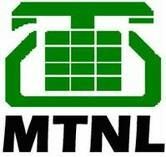 The new service can be activated within minutes via a mobile phone and MTNL believes that with the rapid growth of the mobile subscriber base in India (it's in excess of 800 million across all operators in India as of now), services like these will enhance its revenue streams.